Indonesian hackers have defaced an Australian police website in response to the spying on their president. 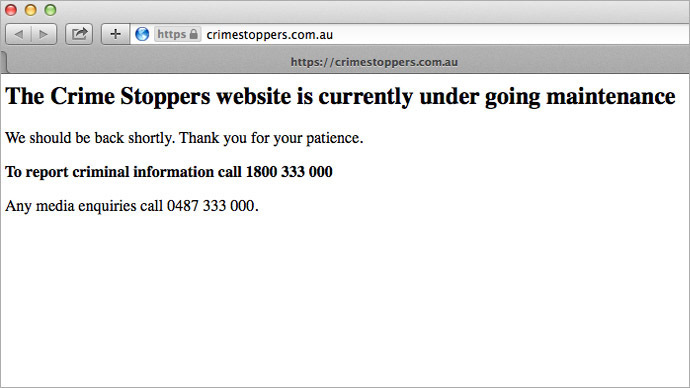 Crime Stoppers servers had to be shut down as a precaution after some log-in details to other websites in a largely harmless attack. Reports that the phones of Indonesia’s highest officials were tapped appear in the 2009 leaks released by Edward Snowden to the Guardian and ABC TV news. This is the latest such attack by the hacker group, calling itself BlackSinChanl, and whose latest Facebook post read "This is the payback for Spying [on] Indonesia!" the Australian Associated Press reported. "We love Australia. We love our country. 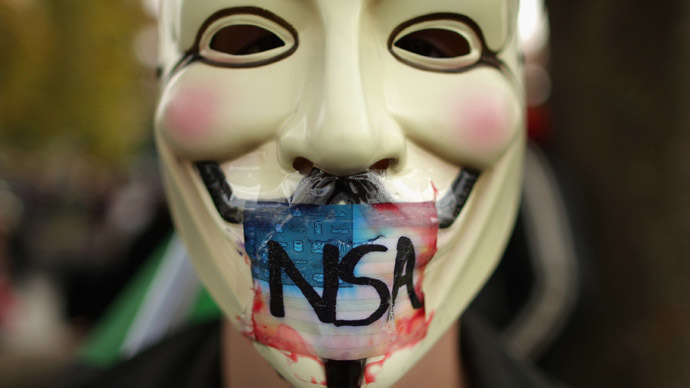 But stop spying at my country. And remember, this is not for famous [sic]. This is for payback. We will be back." The hackers also acquired and published encrypted passwords of members of some Australian police websites, but this was not deemed a threat to national security. The news comes after last week’s revelation that Australian intelligence services were tapping the phone of Indonesia’s leader, his wife and top political officials. Although the website was shut down, the Australian Federal Police (AFP) said no critical information was leaked or stolen after the group allegedly accessed the log-in details of one of the Crime Stoppers website members. "Yes, the website was hacked and yes, they published information on the internet, which was not of any critical relevance," said Crime Stoppers deputy chairman, Peter Price, adding that some information published was real, while other, including the passwords, was not. BlackSinChan claimed it was posting encrypted passwords and email logins of members of the New South Wales (NSW), South Australia, Tasmania Police, as well as Crime Stoppers and Australian Federal Police. The police also explained that the logins and passwords published by the hackers still would not grant anyone access to the police’s secure server, which often stores sensitive information, including crime tip-offs submitted by the public. "All of the intelligence that basically sits within the Crime Stoppers database, which is information from people about criminal matters, is sitting very deep in servers protected by the government's firewall," Pierce explained. "I think the thing to understand here is that this is more about an intimidation tactic and a scare tactic than it is about anything really significant," he said in conclusion. Other attacks in the recent past have included the Reserve Bank, the Australian Secret Intelligence Service and, again the AFP. The hack came just as Australian Prime Minister Tony Abbot’s letter was delivered to Indonesian president Susilo Bambang Yudhoyono by Lieutenant-General Leahy – as a sign of respect – following the Indonesian president’s own letter to the Australian PM. The Indonesian leader told reporters on Tuesday that Abbott's letter contained a promise that Australia will in future refrain from carrying out any actions that may jeopardize the relations between the two. 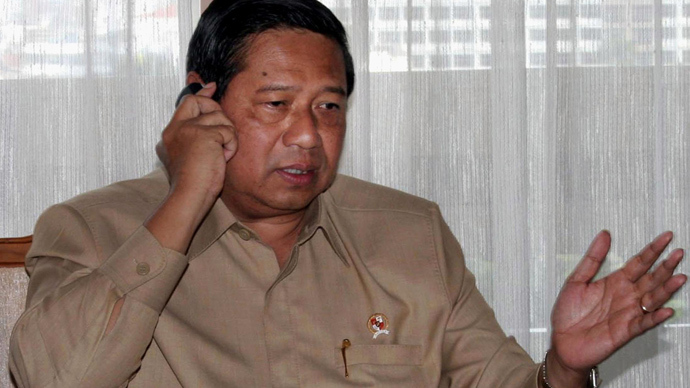 But Yudhoyono also added that a new code of ethics will need to be developed to address such situations in future. 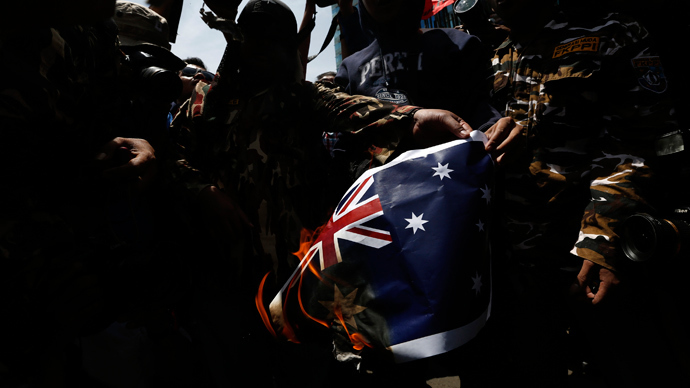 The story follows Thursday’s news of mass protests during which angry Indonesians marched on the streets of the capital, Jakarta, burning Australian flags outside the embassy – emotions ranging all the way up to “we are ready for war with Australia,” as one banner said. 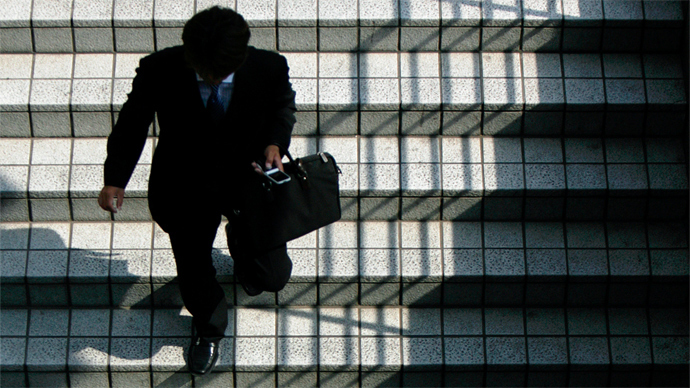 Though things may not be as extreme as they seem on the civilian front, business ties between the two countries could take a serious hit after Indonesia’s state-owned agricultural business Rajawali Nusantara Indonesia terminated its partnership with its Australian partner. "We decided to halt talks on cattle ranches in Australia temporarily until the Australian government fulfills what the Indonesian government insists they do," RNI Chief Executive Ismed Hasan Putro told Reuters on Monday. Indonesia’s Trade Minister Gita Wirjawan likewise said on Tuesday "there are other places that I think can help us with our food security aspirations… we are looking at those possibilities." Wirjawan is now reportedly seeking to augment the country’s beef-supplier list, which by law – and because of health fears – only includes Australia and New Zealand, but said that his government "will certainly be mindful of the need to maintain stability in prices."